"I dispute the availability, and thus the value, of that reason which is cultivated in any especial form other than the abstractly logical. I dispute, in particular, the reason educed by mathematical study. The mathematics are the science of form and quantity; mathematical reasoning is merely logic applied to observation upon form and quantity. The great error lies in supposing that even the truths of what is called pure algebra, are abstract or general truths. And this error is so egregious that I am confounded at the universality with which it has been received. Mathematical axioms are not axioms of general truth. What is true of relation --of form and quantity --is often grossly false in regard to morals, for example. In this latter science it is very usually untrue that the aggregated parts are equal to the whole. In chemistry also the axiom fails. In the consideration of motive it fails; for two motives, each of a given value, have not, necessarily, a value when united, equal to the sum of their values apart. There are numerous other mathematical truths which are only truths within the limits of relation. But the mathematician argues, from his finite truths, through habit, as if they were of an absolutely general applicability --as the world indeed imagines them to be. Bryant, in his very learned 'Mythology,' mentions an analogous source of error, when he says that 'although the Pagan fables are not believed, yet we forget ourselves continually, and make inferences from them as existing realities.' With the algebraists, however, who are Pagans themselves, the 'Pagan fables' are believed, and the inferences are made, not so much through lapse of memory, as through an unaccountable addling of the brains. In short, I never yet encountered the mere mathematician who could be trusted out of equal roots, or one who did not clandestinely hold it as a point of his faith that x squared + px was absolutely and unconditionally equal to q. Say to one of these gentlemen, by way of experiment, if you please, that you believe occasions may occur where x squared + px is not altogether equal to q, and, having made him understand what you mean, get out of his reach as speedily as convenient, for, beyond doubt, he will endeavor to knock you down. John Abernethy was a British surgeon known for being very blunt or even rude to his patients. Confusion. A spoiling or rotting condition. French for "on the third," but the meaning is the fourth floor, because the count starts after the ground floor. A statement accepted as true as the basis for argument or inference. An established rule or principle. A woman's dressing room, bedroom, or private sitting room. A central branch of mathematics dating back to the ancient greeks. Tommaso Campanella (1568-1639), a Dominican theologian, philosopher and poet. Angelica Catalani (1780�1849), a famous Italian singer. Nicolas Chamfort (1741-1794), was a French writer who was famous for his sarcasm. Marked, held, or conducted secretly. Prosper Jolyot de Cr�billon (1674-1762), was a French poet. The quote at the end of "The Purloined Letter" is from "Atree et Thyeste", written in 1707. It can be translated as, "So grievous a plan, if not worthy of Atree, is dignified by Thyeste." In Greek mythology, Atreus and Thyestes were brothers who were rivals and committed terrible crimes against each other. Loosely styled and irregular in measure especially for burlesque or comic effect. Applies to either clothing or poetry. The original Middle English term was "Dogge Dog". Hmmm, sound familiar? Something held as an established opinion. A point of view put forth as authoritative without adequate grounds. A doctrine concerning faith or morals formally stated and authoritatively proclaimed by a church. Of or relating to a Duke. Boredom, a feeling of weariness and dissatisfaction. A writing table or desk. Suitable for achieving a particular purpose in a given circumstance. "The descent into Hell is easy", a quote from Virgil's "Aeneid", written around 20 BC. "Averni" translates to "Hell" because Lake Avernus was believed to be the entrance to the underworld. Thieves who rob pedestrians. Muggers. The chief officer or chief magistrate. Especially obvious. Excessively vivid. Garish. Poe made this word up and it was later added to the Oxford English Dictionary. The act or an instance of placing two or more things side by side. Niccol� Machiavelli (1469�1527) was a Florentine statesman and political philosopher. A tobacco pipe. A fine light white clayey mineral that is a hydrous magnesium silicate found chiefly in Asia Minor and is used especially for tobacco pipes. A figure of speech in which a word or phrase literally denoting one kind of object or idea is used in place of another to suggest a likeness or analogy between them; for example, "All the world's a stage". Natives or inhabitants of Naples, Italy. Fallacy of the undistributed middle. A seemingly logical reasoning that is not always true. 1. All students carry backpacks. 2. My father carries a backpack. 3. Therefore, my father is a student. This logic sounds good at first but there are obviously problems with it. Even if the first two statements are true, it doesn't mean my father is a student. A follower of a polytheistic religion, as in ancient Rome. One who has little or no religion and who delights in sensual pleasures and material goods. Easily perceptible by the mind. Capable of being touched. A firm adherent to a party, faction, cause, or person; especially one exhibiting blind, prejudiced, and unreasoning allegiance. Marked by arbitrary often ruthless disregard of individual differences or special circumstances. To make known by open declaration. To take something wrongfully and often by a breach of trust. It is about the same as stealing but not exactly. 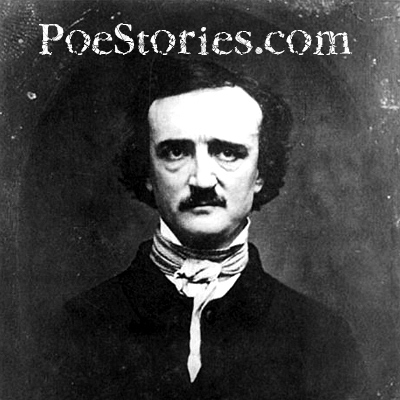 In Poe's story, the Queen sees the Minister take the letter but cannot say anything to stop him due to the nature of the letter itself. La Rochefoucauld, le Prince de Marcillac (1613-1680), was the greatest maxim writer of France. Around 50 AD, Lucius Annaeus Seneca wrote, "Nil sapientiae odiosius acumine nimio" (Nothing is more hateful to wisdom than excessive cleverness). Seneca wrote this about his student, Nero. Later, when Nero was Emperor of Rome, he ordered Seneca to commit suicide. A small container for holding snuff, a preparation of pulverized tobacco to be inhaled through the nostrils, chewed, or placed against the gums. False. Forged. Outwardly similar or corresponding to something without having its genuine qualities. Astonished. Overwhelmed, as if struck by lightning. As a verb, treble means to grow to three times the size, amount, or number. A trivial or worthless article. A piece of junk. Complete nonsense. The force of inertia. Newton's first law is the law of inertia: When no force acts on an object (or when the forces acting on it cancel), it moves in a straight line at constant speed.